In August 2017, Hurricane Harvey devastated eastern Texas, affecting 13 million lives. One of those lives is Leo, a sweet little Chihuahua mix. Leo and his family evacuated their home in Houston before the Hurricane Harvey hit. Once the storm had passed, they went back home to find their house under water. If the family left Leo at home, odds are, he wouldn't have made it. When natural disasters threaten a community, families are often forced to abandon their homes and belongings, with little or no warning, to find refuge with friends or family, at a hotel or at a temporary shelter until the danger passes. For pet owners, evacuating from a natural disaster is even more challenging. Experience has proven that many families won't evacuate if they are not able to bring their pets with them. This puts people and their pets in danger, in addition to increasing the risk to first responders who then may need to rescue families who remained in harm's way. Considered "the Red Cross for animals," RedRover is recognized as a national leader in emergency sheltering and disaster-relief services for animals. 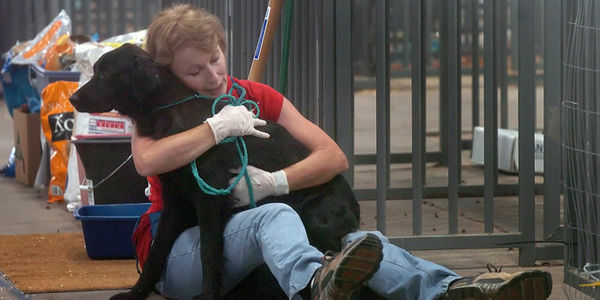 When a natural disaster strikes, RedRover sets up temporary emergency shelters for rescued animals and family pets, deploys volunteers to tend to evacuated animals' day-to-day needs, works to reunite lost animals with their families and gives hope and support to people who've lost everything they own. Sign to show your support today for the RedRover Responders Program and hear more about how you can help keep pets and families safe before, during and after a natural disaster, including your own!